Seeds give life to plants. This provides evidence that energy of huge power is present in them in latent form. Being live biological structures, the seeds possess a great stock of life energy necessary for the development of a new plant. When the seeds are applied to the correspondence points they awaken, and their biological fields start interacting with the <<globules of correspondence>> to the affected organs and parts of the body thus restoring their energy potential. Seeds are divine gifts from Existence Spirit. Sujok Seed Therapy can be upgraded when you are conscious of the plant the seed comes from, and the plant which is latent within the seed. Sujok therapy helps us to use their life force for healing ailments. Thank the seeds for what they provide us. Black pepper or peppercorns are used for informing the pituitary gland, stimulating the spinal and eye correspondence points, and other points as well. Black pepper grows in a vine that first came from South India and is now the most easy to find spice seed all over the world. Posted in Practicing Su Jok, Understanding Sujok and tagged backbone, black pepper, eyes, pepper, seed therapy, sujok on December 6, 2014 by GlobalIndiaSujok. Just yesterday after a session of Smile Mudra, Mantra, Meditation in Miami, a professor of biomedical engineering discovered that by placing his own two fingers on the correspondence points of his injured leg, he was able to get instantaneous relief from chronic surgical pain. He was in smile consciousness and all he needed was to be shown what he could do himself, and how. The smile on his face was just wonderful. He was keen to continue this result with applied seed therapy, which will mean applying black peppercorns with a medical tape, on a few of the correspondence points, to help the healing to continue- all of which he can do himself. If required, specific treatments can also be given by a Sujok therapist trained in advanced levels of Sujok therapy, Sujok Ki and Triorigin. Sujok healers see that smile often, and that helps our own smile consciousness to expand. I am so grateful to Prof. Park Jae Woo for bringing the smile consciousness to the world. I am deeply grateful to my Sujok gurus for this consciousness. Sujok, based on Triorigin Theory, is not [just] an alternative healing system, nor [just] a complementary therapy – it is a whole new paradigm in healing. Knowledge of the treatable correspondence points on hands and feet, and of the different ways in which they can be stimulated, can help anyone, because there are tools that can be used at different levels of consciousness. The healer’s and recipient’s consciousness both unfold as a result. Since the healer and recipient can be the same person – self-healing, in other words – the healing frees a person, rather than bind them to a drug or an outside healer. As therapists, a Sujok healer uses the knowing of Triorigin to help the receiver’s own consciousness to move from a disease consciousness to smile consciousness. 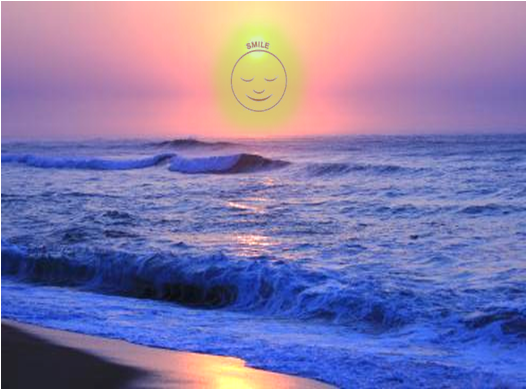 Sujok is truly a paradigm of healing for the new consciousness that is dawning. 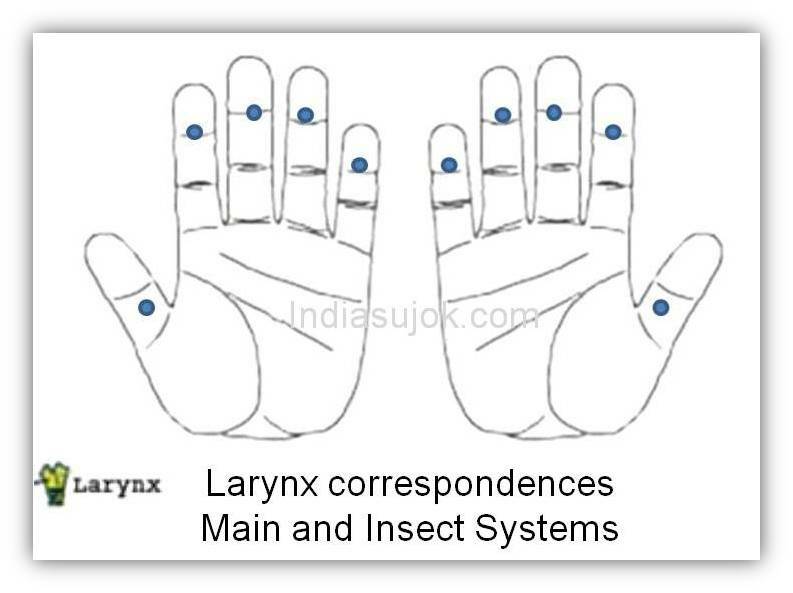 Correspondence points of joints, limbs, different parts of the body, organs, glands. Correspondences to the meridians, chakra energies,emotions. Ways to reach deeper and more specifically the imbalanced part of mind, body, life. Seeds. Colour. Palm leaf. Micro-magnets.Finger ki.Meditation. Taiji. Twist Therapy. Intrigued? Dip into the ocean of Sujok therapy. Wherever you touch the ocean, you have access to everything that the waters contain. Posted in Understanding Sujok and tagged ocean of sujok, paradigm, self healing, sujok, Sujok therapy, triorigin on October 10, 2014 by Meenakshi ~ Journey In Wholeness. 1. There are many ancient & relatively modern Drugless systems of treatment of the orient of human body. Yoga, Chakras, Acu-pressure, Reflexology, Chinese Acupuncture, Samwongong, Samwondong, Chi Gong, Time Healing, Mudras, Mantras Etc. all use basically the correlation & interplay between the three levels of human existence viz. b) The Electronic viz. the neural networks in the human body. c) The Transcendental i.e. Soul level. These Systems which developed in the Orient, evolved, with some historical contiguity and connectivity, in India, China, Mesopotamia, Egypt & Phoenicia. 2. Basic difference in approach between Oriental system and Allopathic sciences (Western Medication). • Western Medication does not recognize the role of the Transcendental in treatments. • The neural connections are approached on a piecemeal basis by Western Medication, but taken holistically by Oriental Systems. • For Treatments, the neural networks are not used by Western Medication. However, the good news is that some path-breaking work is being done by an IIT-Kanpur B. Tech. 1974, now Prof. Mrigamka Sur in MIT. He has been working on the use of synapses & neurons and their potential role in treating hitherto “untreatable” diseases. This actually also is in line with the last-mile effect in treatments carried out using Sujok Therapy. • Both Western systems and Sujok Therapy use the endocrine system for treatments, but in markedly different ways. All oriental systems in their various forms essentially recognize that there are well defined major & minor “Energy pathways”. The major pathways are called Meridians. Besides this, many of them recognize vortices of energy called Chakras. They also mostly agree on the direct connectivity of the human body’s energies with the external environment. The layout & properties of the various pathways, their actions & interactivity and their connectivity to the transcendental are defined in different ways among these Oriental Systems. Prof., Park, Jae Woo, the founder of this science was an M.D. in Korea. In 1968, he witnessed some seemingly impossible treatments with oriental systems and started work on collation of all oriental sciences. By 1985, advances had begun on expansion of the unified knowledge to concepts which were ahead of existing ones. For example, by 1990, the concept of “Panchtatva” had been expanded to Six Elements in which the “Fire” had been split into “Heat” and “Hotness”, both of which have different characteristics while being similar. The concepts of “Tri-origin” was developed. It linked every aspect of the Universe and its constituents (including Human Beings) to it’s original formation and development characteristics. Treatments were developed which used these concepts and their equivalent in Human existence. The really advanced work was done in the period 1998-2010 ie till he passed away on March 10th, 2010.
a. The Human Body while growing from a single cell to it’s millions, established well defined neural connectivities (called correspondences) between each cell and even within the cells. b. Meridians & other energy pathways are used not only for communication but also for carrying out cures. Similarly, the endocrine system is also used for cures. c. Well defined types of stimuli can be provided by naturally occurring entities like Leaves; Seeds; Geographic alignment and space; Patient’s & Healer’s emotions & nature; Date, Time of day, Season and year; etc. d. Stimuli are also provided by simulated natural phenomenon created by Micro-magnets, Electric Wires, Diagnostic Probes, Needles, Colours etc. and with other methods including Mantras, Mudras, Massage and certain regimented physical exercises like various modules of Tai Chi. e. Each type of stimulation or a combination thereof, produces a well-defined effect on the Human Body, mind and Soul. These stimuli induce the body to treat itself. f. Certain bunches of cells (which may have evolved into organs) are better connected (ie have better correspondence) due to the nature of their Triorigin related development. As a result each Hand and each Foot is very good to use for Treatment. Any one ear can be used equally effectively. g. Energy pathways & Vortices also have correspondences on the Hands and Feet. h. Most diseases are a result of distortion, disturbance or disruption of the way nature designed a human being to be or exist. i. The treatment systems developed in Sujok and Triorigin are capable of reaching out to certain aspects of the soul in relatively mechanical ways (with training) to effect cures. a. The end-objective of each treatment is to get each diseased organ / area / system back into the shape it was designed to naturally be for a human being. b. A series of stimuli are used, generally in well defined sequences, to make the energy pathways or the endocrine systems to start and continue their work of curing the affected organs or systems. c. There are 12 well defined vertical meridians, each of which also pass through 12 major organs of the body. There are also two over-riding (controlling) ones which are connected with Human Conception & Overall management respectively. d. Besides this the Horizontal & Spiral energy pathways establish the cross-connectivities to complete the entire connectivity pattern of the body. e. Stimulation of the endocrine systems is generally done to synchronise with the stimulation of the energy and physical systems to complete the cure. f. Treatment and Cure are actually carried out by the patient’s own body in tune with the stimuli provided by the healer. g. There is no known conflict when this system of treatment is carried out simultaneously with any form of medication – Allopathic, Ayurvedic, Homeopathy, Unani, Siddha or any other. Patients are advised to continue their medication and make any changes only with the specific advice of their Doctor in that field of medication. a. Basic treatments in Sujok are safe to use. For example, if you develop a high fever suddenly, just dip all of your fingers and toes into ice-cold water for 5 minutes. Chances are you will not need any medication whatsoever at the end of those 5 minutes. You need major training only for energy systems related treatments. b. Many of these are already in the folklore in Oriental countries and being used by traditional families. c. Walking on a acupressure foot-mat for 15 minutes or just pressing your bare foot on it while sitting in office, using an elastic ring or hand-magnetic ball for massage of fingers while watching TV, doing hand wringing while free, twisting all the joints of the hands etc. do not crowd on your quality time, while doing wonders to mitigate the minor niggles which can develop into bigger issues. b. Female: Blocked Fallopian tube, Cysts or Fibroids in uterus or ovaries, Heavy bleeding during menses, Irregular periods, Leucorrhoea (White Discharge), Ovary cysts- Polycystic ovarian syndrome (PCOS) / polycystic ovarian disease (PCOD), Pain during periods, Scanty discharge. Associate Healers available in Miami, New York, Zurich and many towns in India. Posted in Understanding Sujok on March 30, 2013 by Meenakshi ~ Journey In Wholeness.